In 2018, Permanent TSB Staff Charities donated €214,000 to local charities, supporting the work of Ronald McDonald House, Epilepsy Ireland, The Down Syndrome Centre, Our Lady’s Hospice, The Oesophageal Cancer Research Fund, St. Vincent DePaul and Action Aid. The charities supported are nominated and selected by Permanent TSB employees for the fundraising year. Numerous fundraising events are organised and managed by our colleagues from around the Bank throughout the year including: Permanent TSB Charity Rugby Match; Hell and Back Challenge; Grand Slam ‘Tap and Give’ Campaign; Annual Table Quiz; Charity Cycle; and, various other local fundraising initiatives that are driven by our teams in the Branch Network across our 77 locations nationwide. All money raised by employees is match funded by the Bank. 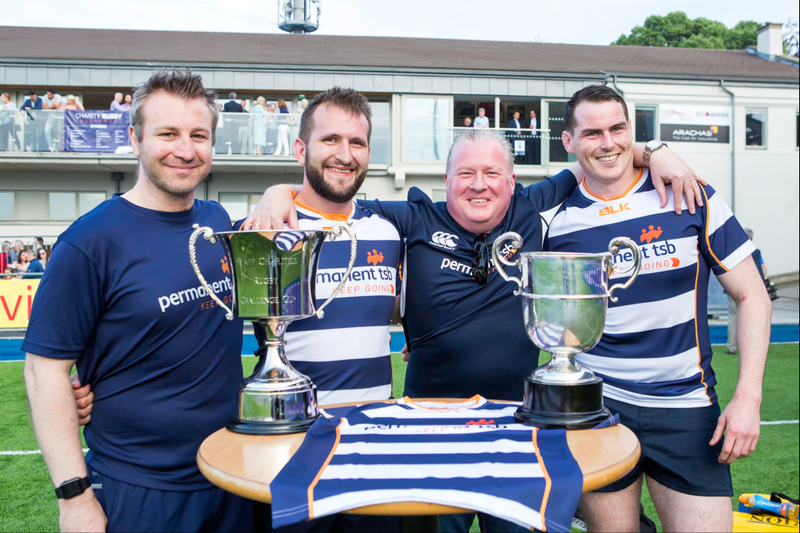 In 2018, the Permanent TSB Charity Rugby Match vs. AIB raised €70,000 for the above deserving organisations and marked our biggest fundraising initiative of the year. Since its establishment, the Staff Charities Fund has donated in excess of €1 million to Irish Charities, supporting local communities across the country. To further support the work of our Staff Charity Partners, our colleagues contributed more than 1000 volunteer hours on the ground in local communities last year, equating to over €26,000 of in-kind giving. We look forward to working alongside our newest Staff Charity Partners – Barretstown and The Alzheimer Society of Ireland – for the 2018/2019 fundraising year.